KYIV, Ukraine—U.S. 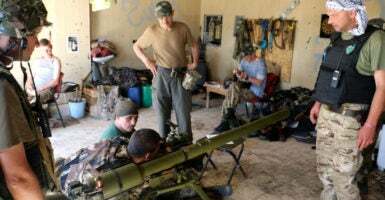 President Donald Trump has approved the sale of commercial lethal weapons to Ukraine, a pivotal decision that comes amid an escalation of Russia’s ongoing proxy war in the country’s embattled eastern Donbas region. Trump has reportedly approved a $41.5 million deal for Tennessee-based Barrett Firearms Manufacturing to sell Model M107A1 sniper rifles, ammunition, and accessories to Ukraine. For years, Ukraine has requested U.S. lethal weapons to defend against Russian aggression. News of the U.S. weapons deal was therefore celebrated as a sign of solidarity and, hopefully, a bellwether for more robust American military support in the future. “The Ukrainian people congratulate President Trump’s decision to sell sniper systems to our army. 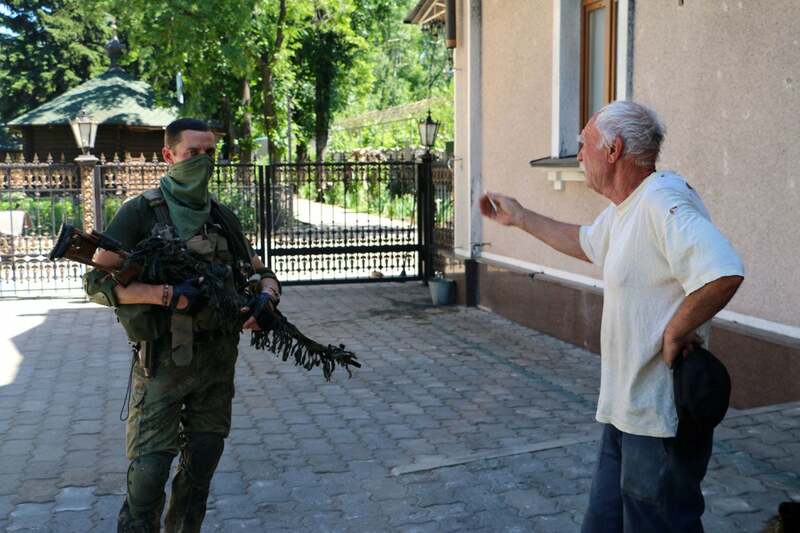 We hope this is the first step and will follow other, more weighty ones,” said Timur Kobzar, a Ukrainian volunteer who has ferried supplies out to soldiers on the front lines since the war began. The reaction from Moscow to the U.S.-Ukraine rifle deal was swift and pointed. On Thursday, Kremlin spokesman Dmitry Peskov called it a “dead-end technique, which would unleash bloodshed again,” the Russian government-owned news site TASS reported. Some say the weapons deal, which is limited to commercial sales of small arms and light weapons, could be the opening salvo of a full-blown diplomatic about-face by the Trump White House, which would ultimately reverse the Obama administration’s longtime refusal to arm Ukraine. Others, however, see the move as a diplomatic shot across the Kremlin’s bow by the Trump administration intended to pressure Moscow to de-escalate its ongoing proxy war in Ukraine, while simultaneously reassuring Kyiv about the longevity of U.S. support. The war is mostly fought at a distance using indirect fire weapons like artillery, rockets, and mortars. Snipers also frequently engage targets across no man’s land, which can vary in width from a few kilometers in some places, to other spots where the two sides are so close they can shout insults to one another. While the Kremlin denies its hand in the war and Ukrainian officials officially refer to the conflict as an “anti-terror operation,” the two erstwhile allies have been locked in a de facto state of war since early 2014. President Donald Trump has approved the commercial sale of U.S.-made sniper rifles to Ukraine. The conflict is moderated in scale and intensity, and locked geographically, by the terms of the Minsk II cease-fire. Heavy weapons above a certain caliber are banned within an agreed-upon buffer zone on either side of the front lines. Nevertheless, the fighting goes on. And on average, one Ukrainian soldier still dies every three days. The Barrett M107A1 is a newly unveiled, .50-caliber extreme-range sniper rifle developed with asymmetric warfare in mind, integrating battlefield lessons learned from U.S. troops in Afghanistan and Iraq. Based on U.S. Army testing, the rifle is capable of penetrating up to 1.18 inches of steel plate from 2,000 meters. Front-line Ukrainian soldiers say the M107A1 will be well suited for the kinds of long-distance battles they currently face in the Donbas. 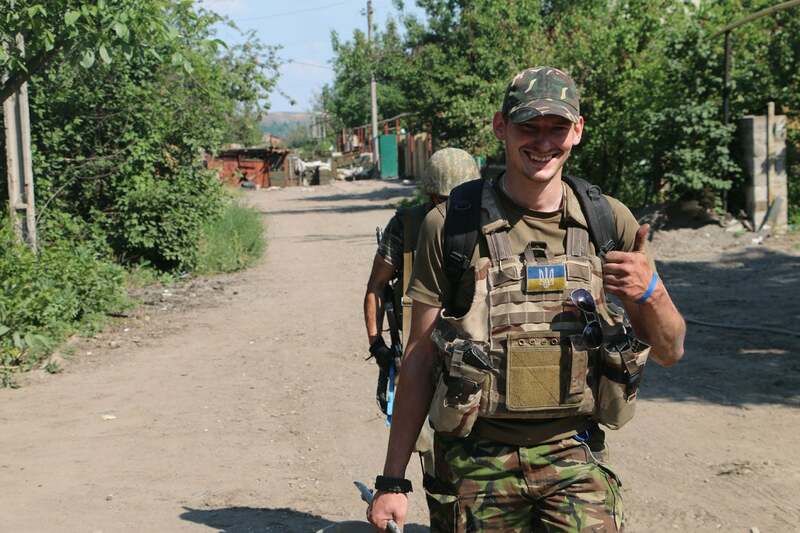 “It will definitely help us because most engagements are more than 500 meters from trench to trench, it even goes up to 2 kilometers,” said Anton Kolomoets, a 22-year-old soldier in the Ukrainian National Guard Azov Regiment, currently deployed outside the city of Mariupol at the southern end of the front lines. Kolomoets told The Daily Signal that soldiers in his unit modify Soviet-era DShK machine guns with accessories bought off the internet—like advanced scopes, bipods, and new stocks—to fill the role of advanced, long-distance sniper rifles like the M107A1. “This stuff is not as accurate as we need,” Kolomoets said of the modified Soviet weapons. Volodymyr Pavlovich, a 31-year-old former Ukrainian sniper who served with the Ukrainian army’s 93rd Mechanized Brigade in the front-line town of Pisky, said he used a 1969 Soviet Dragunov sniper rifle in combat. 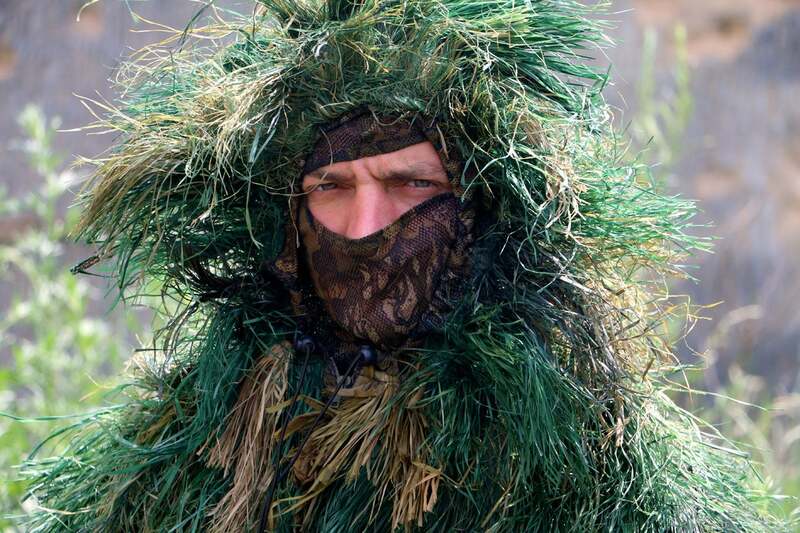 Ukrainian sniper Volodymyr Pavlovich on patrol in eastern Ukraine. “And the very fact that the United States officially supports the Ukrainian army strongly demoralizes Russian soldiers,” Pavlovich added. Beyond its battlefield utility, the U.S. weapons deal is a morale booster for Ukrainian troops as they endure their fourth consecutive winter at war against Russia and its separatist proxies. “Of course this is a good decision,” Dmitry Dybus, a 23-year-old active-duty Ukrainian army soldier currently deployed to the eastern war zone, told The Daily Signal in an email, referring to the U.S. weapons deal. However, the Texas-based weapons manufacturer AirTronic USA has been selling and shipping precision shoulder-fired rocket launchers, or PSRLs, to Ukraine since 2016, according to news reports. In a Nov. 22 interview with Voice of America’s Ukraine service news site, Richard Vandiver, president and chief operating officer of AirTronic USA, said his company had acquired a DDTC DSP-5 export license from the U.S. Department of State to sell and ship its weapons to Ukraine. 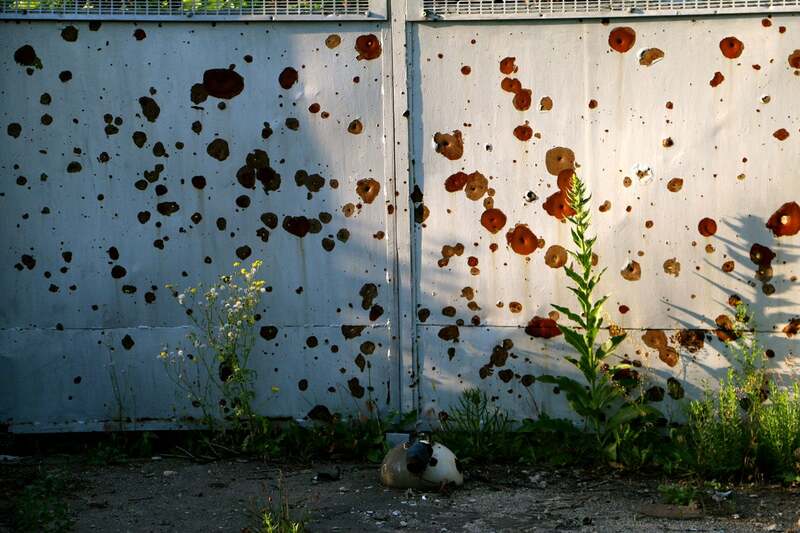 Shrapnel damage in eastern Ukraine. 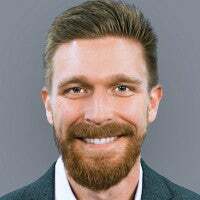 “We started to deliver our goods to Ukraine last year, we continue to deliver to this day,” Vandiver told Voice of America. The AirTronic PSRL is an analogue of the Soviet RPG-7, a rocket-propelled grenade, with a range of about 1,000 meters. Both the AirTronic PSRL and the Barrett M107A1 rifle require government approval to be sold abroad. Canada also recently announced it will issue licenses to its defense contractors to sell weapons to Ukraine. Like the Canadian decision, the one announced by the U.S. this week is not a direct shipment of weapons to Ukraine from the U.S. government. Rather, it is the issuance of a State Department license to a U.S. commercial manufacturer to sell weapons to Ukraine. So far, more than 10,300 Ukrainians have died in the conflict, including more than 2,500 civilians. The war—Europe’s only ongoing one—has also displaced about 1.7 million people. 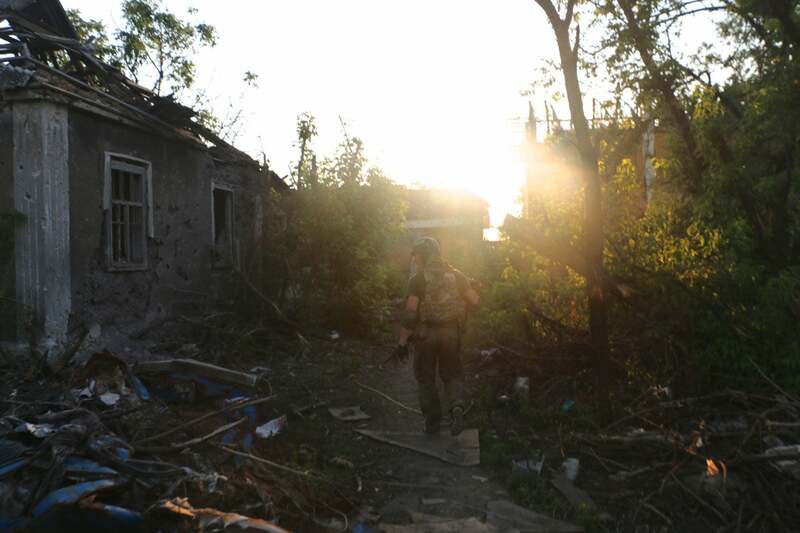 On Monday, combined Russian-separatist forces unleashed a Grad rocket attack on the Ukrainian-controlled village of Novoluhanske in the Donbas, where more than 3,700 people live, including more than 500 children. The Russian rockets damaged about 50 buildings, including a school and a kindergarten. “At least 40 rockets hit the village’s residential area, wounding eight civilians, including six senior women and a 6-year-old child,” Col. Oleksandr Motuzyanyk, a Ukrainian Ministry of Defense spokesman, told reporters Tuesday in Kyiv. 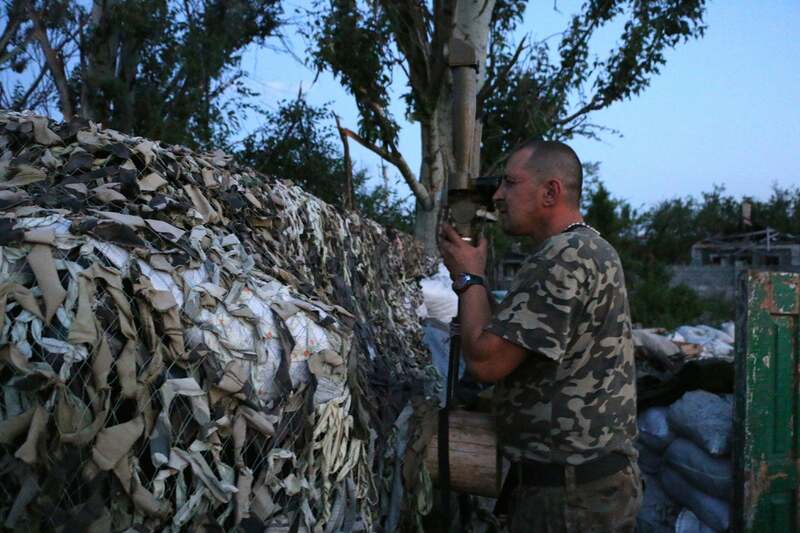 The war in Ukraine has become a long-range conflict, in which soldiers hardly ever see their enemies. “A lot of people think that this has somehow turned into a sleepy, frozen conflict and it’s stable, and now we have … a cease-fire. It’s a problem but it’s not a crisis,” Kurt Volker, the U.S. special envoy for the Ukraine conflict, said Wednesday in Washington, following the Novoluhanske rocket attack. The Novoluhanske attack also damaged power lines and a gas pipeline, spurring a temporary heating and electricity outage—a potentially lethal proposition as Ukraine’s harsh continental winter sets in, routinely dipping temperatures double digits below zero Celsius. The Novoluhanske attack is part of an overall escalation of the conflict. International monitors in Ukraine reported a 35 percent increase in cease-fire violations the week of Dec. 11 to 17. This latest spike in the war is part of a cyclical pattern of escalation and de-escalation that the Kremlin has maintained for years as a diplomatic hedge to keep Ukraine—a former Soviet vassal of Moscow’s—from integrating too quickly and deeply with the West. Apart from the increased violence, this week Russian officials pulled out from a key negotiating format with Ukraine intended to implement the cease-fire called the Joint Center for Control and Coordination, or JCCC. “I can emphasize that the danger of the conflict’s escalation is, unfortunately, increasing,” Ukrainian President Petro Poroshenko said Wednesday, according to a statement published to his administration’s website. Rhetoric from Washington has noticeably stepped up in recent weeks as the war has escalated, calling out the Kremlin for its role in the conflict. For its part, the Kremlin continues to deny its role in the war. After almost four years of war, U.S. weapons would be a morale booster for Ukrainian soldiers. U.S. officials say the peace process is stuck in purgatory so long as Russian officials are not willing to admit, privately or publicly, that their troops and weapons are in Ukraine. “Russia withdrew its officers from JCCC—a ceasefire implementation tool—right before a massive escalation in ceasefire violations. Ukraine just suffered some of the worst fighting since February, 2017,” Volker wrote Tuesday on Twitter. “Decision for peace lies with Russia,” Volker added in the tweet. Some see Trump’s approval of commercial sniper rifle sales to Ukraine as part of a measured, long-term pushback against Moscow for its continued stonewalling on a workable peace deal in Ukraine. “There is an unrecognized dimension to Trump’s foreign policy in that he seems more than willing to play the long game on some foreign policy challenges,” James Carafano, vice president for the Kathryn and Shelby Cullom Davis Institute for National Security and Foreign Policy at The Heritage Foundation, told The Daily Signal.